Ambitious architecture needs specialists. Trust in our precision, experience and innovation. 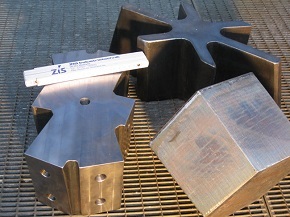 From metal plates with a thicknesses of up to 400mm, using oxyfuel cutting, we are able to manufacture three-dimensionally shaped nodes used to create spatial surface or shell structures. 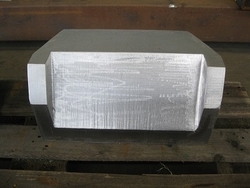 For these parts oxyfuel cutting is a cost-efficient technology compared to milling and provides a surface comparable to rough milling. The connection surfaces of the nodes represent the three-dimensional geometry of the surface structure. The beams in between the nodes only need a rectangular saw-cut. 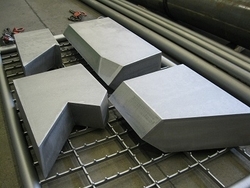 To apply boreholes or threaded holes and to adapt the top or base surface of the node, a subsequent milling of the nodes is possible which would allow, for instance, for the production of bolted constructions. 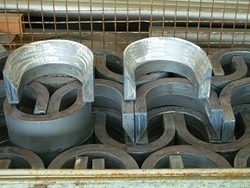 It is also possible to produce other parts with this technology. With optimal control over the cutting process, reorientation of the part and optional additional milling, the complexity of producible parts is nearly unlimited.